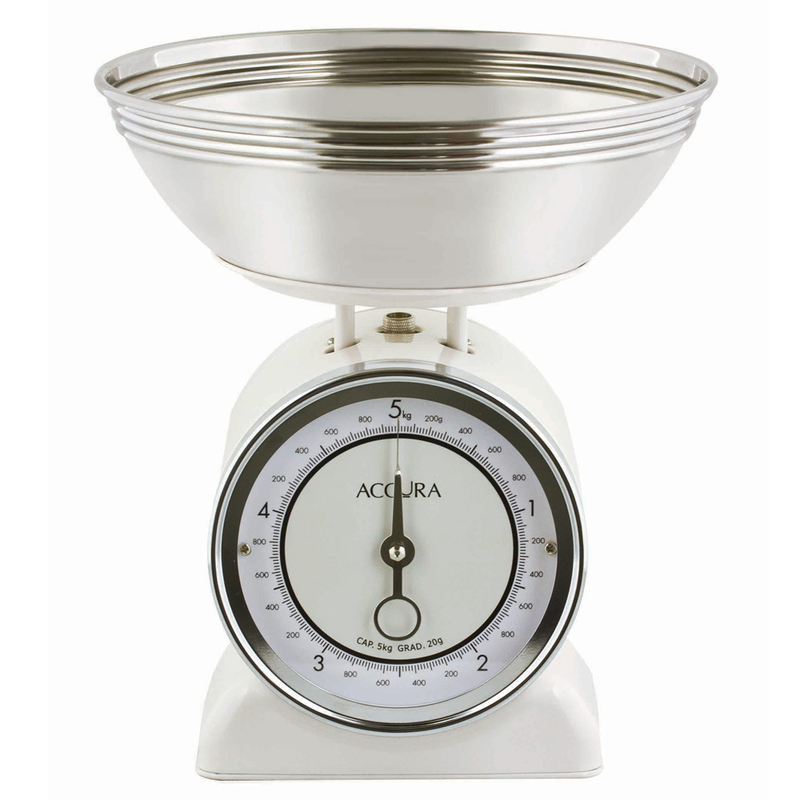 Accura kitchen scales are designed with scrupulous and precise chefs in mind. These Neptune Mechanical Kitchen Scales might look a little bit old-school, but they can still keep up with even the most modern kitchens. With a stylish stainless steel bowl and cream-coloured metal base, these scales carry up to five kilograms in twenty gram graduation.